NEW YORK— PhotoPlus Expo, one of the largest photography conferences and expos in North America, has announced its first annual PhotoPlus Expo photo contest, “Your New York Minute.” Whether you’re a native New Yorker, or just a New Yorker at heart, you are eligible to enter the contest. All entries must have been taken in any of the city’s five boroughs Bronx, Brooklyn, Manhattan, Queens, and Staten Island and the other city islands including Roosevelt, Randalls, Liberty and more to qualify for a chance to win thousands of dollars in prizes and gear from official camera sponsor, Nikon. “Your New York Minute” photo contest is open to both professional and amateur photographers. Each entrant can submit work in any and/or each of the six categories: Bronx, Brooklyn, Manhattan, Queens, Staten Island and the other city islands including Roosevelt, Randalls, Liberty and more. Photos should be entered in the appropriate category based on where the photograph was taken. 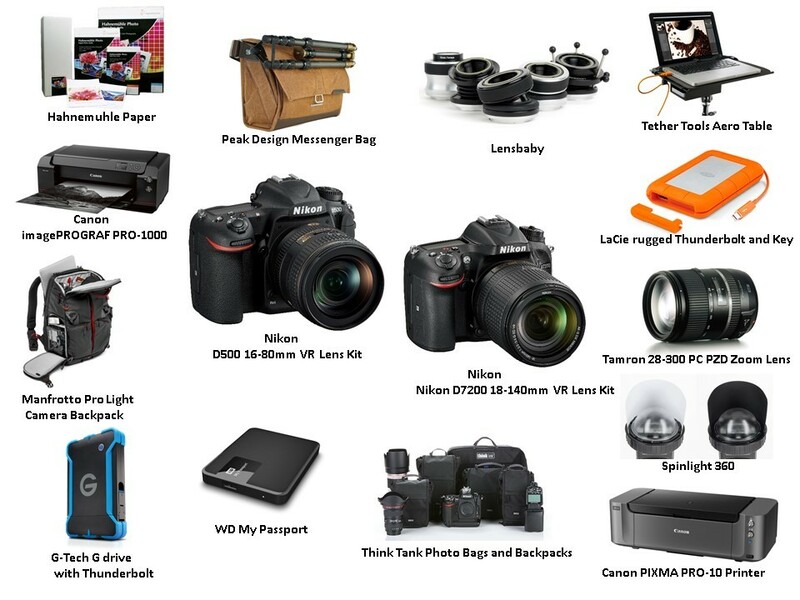 Two entrants will be awarded Grand Prize and will receive either a Nikon D500 or Nikon D7200 kit as part of their total prize package. All winning images will be on display during the PhotoPlus Expo at the Jacob Javits Center from October 20-22, 2016 which welcomes more than 25,000 visitors from around the world each year. Deadline for entries is September 5th, 2016. The call for submission is now open for the “Your New York Minute” photo contest. There will be a fee of $20 per professional entry and $15 per amateur entry for each photo entered into the contest, but contestants may enter as often as they would like. PHOTO+ members will receive a 30% discount for each photo entered and a portion of all fees will be donated to City Harvest food bank in New York City. There are no time restrictions as to when a photo was taken in New York, its outer boroughs, or Staten Island and the other city islands including Roosevelt, Randalls, Liberty and more. The “Your New York Minute” photo contest will consist of two Divisions: Professional and Amateur. Each Division will consist of six (6) categories: Bronx, Brooklyn Manhattan, Queens, Staten Island and the other city islands including Roosevelt, Randalls, Liberty and more. First-Place winners in each category will qualify to become the Grand-Prize winner. At the judge’s discretion, honorable mentions may be selected in some or all categories, and will not qualify for prizes but will be included in a special exhibition at PhotoPlus Expo at the Jacob Javits Center. All winning images and honorable mentions will be placed on exhibit during the PhotoPlus Conference + Expo at the Jacob Javits Center from October 20-22, 2016. The exhibit will be seen by more than 25,000 photographers and consumers expected to visit the photo expo this year. All winners will be permitted to keep their mounted winning image at the conclusion of the photo expo. All photos entered into the “Your New York Minute” photo contest will also be used to create a beautiful mosaic of the Manhattan skyline. In addition, everyone entering the contest will receive a high-resolution image file of the mosaic for posting to social media or to print for display at home or at work. Designed for professionals in the photographic and imaging industries, as well as enthusiasts, PhotoPlus Expo showcases the latest advances in photography, digital imaging and filmmaking. Held annually at the Javits Convention Center, attendees have the opportunity to explore an inspiring array of photography and imaging products and services — all from the industry’s leading manufacturers. The show also offers seminars and intimate Photo Walks and Master Classes taught by world-renowned experts that focus on cutting-edge innovations and techniques. This entry was posted on August 17, 2016 at 4:24 pm and is filed under travel photography. You can follow any responses to this entry through the RSS 2.0 feed. You can leave a response, or trackback from your own site.